I love Instant Pot Honey Garlic Chicken Sliders. There’s nothing that beats throwing dinner in the Instant Pot for 40 minutes and coming out with a sandwich that tastes like that! I also love my Instant Pot. So much so, that I ended up buying another one. Seriously. I decided it was time to own two, but this time, I got an even bigger one. 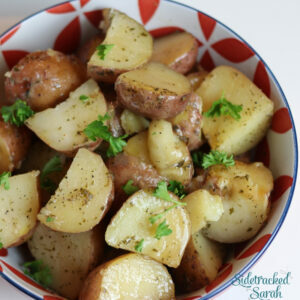 I had started with the 6 quart 7 in 1 Instant Pot and it did great for most things, but there were some days that I wished I had a little more space. And some days where I wished I could do two things at once, but they needed to cook for different time amounts. I bought myself another one. 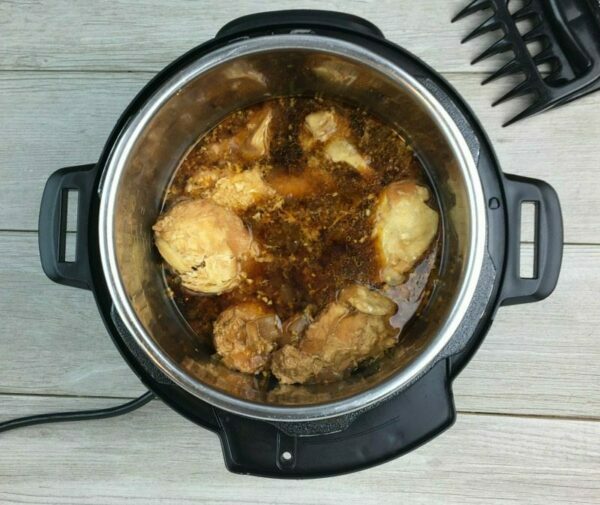 The 8 Quart 7 in 1 Instant Pot. Problem solved! 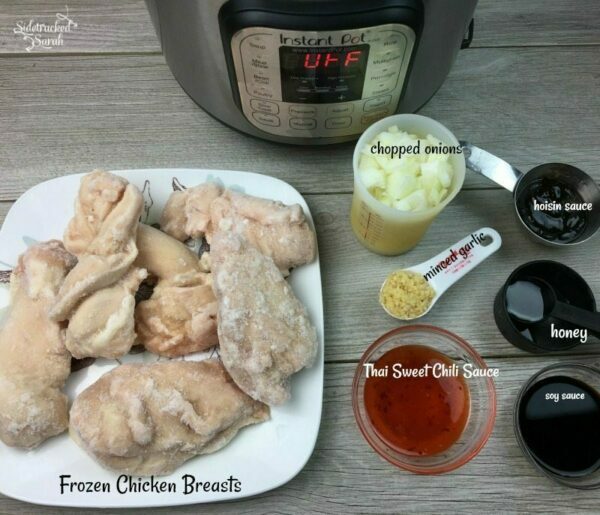 Now I can make myself some Instant Pot Macaroni & Cheese or my favorite, baked potatoes or something off of this list of Instant Pot Comfort Foods list, while I’m cooking the Instant Pot Honey Garlic Chicken Sliders. It’s such a time saver. And, if you want to get down to it, a dinner saver, too! Because I’m the one who always procrastinates on what’s for dinner. I’m not sure that I’ve ever told you this before, but my husband is wanting to quit his job and come home to work from home in our side businesses. We make an income from this blog and we also make an income by selling on Amazon. We’ve both been so busy this past month working on both projects, trying to boost some of that income to help make his dream come true, that I kept forgetting to put food in the slow cooker again. I am the queen of forgetting. I do it all the time. I’m so glad that we have something like an Instant Pot for all of those forgetful moments! These Instant Pot Honey Garlic Chicken Sliders were so good! We loved every bite. And it seems like almost every time I make something in the Instant Pot, I wish that I had doubled the recipes. At least they’re easy to make again! After removing the chicken from the liquid, we used the bear claw shredders in the picture above, to shred it all up, to look like this. I added a little bit of the liquid from the Instant Pot to the meat so that it would take on more of the great flavor that it was cooked in. Now, it’s ready to put on your slider buns! 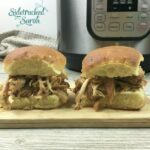 These Instant Pot Honey Garlic Chicken Sliders are a great meal to share with friends! They're simple and delicious! Cook them for 30-40 minutes in the Instant Pot, shred and then serve on slider buns! YUM! Cook on Manual, 40 Minutes, high pressure (if chicken is frozen) OR 30 minutes if thawed. 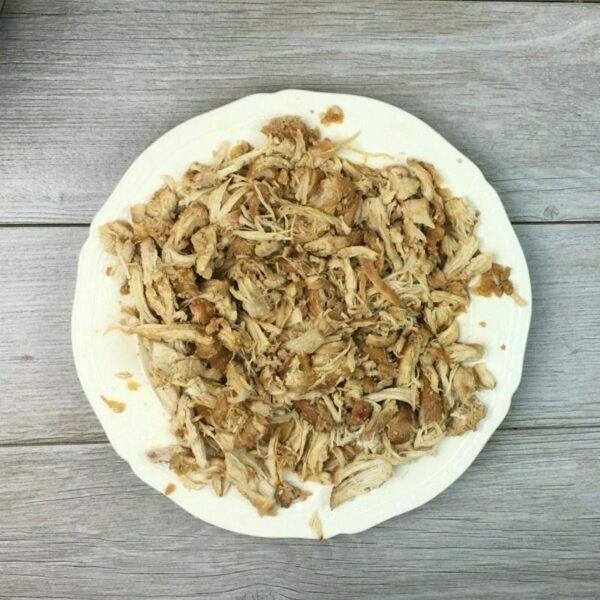 Shred chicken, Stir in a couple of spoonfuls of liquid from the Instant Pot. Cook on Manual, 40 minutes (if chicken is frozen) and 30 minutes if it's not. Stir in a couple of spoonfuls of liquid from the Instant Pot.